Electronic learning or e-learning has become an umbrella term for any type of education that involves an electronic component such as the Internet, a network, a stand-alone computer, CD/DVDs, video conferencing, websites, or e-mail in its delivery. [Figure 4-12] E-learning comes in many formats. It can be a stand-alone software program that takes a learner from lecture to exam or it can be an interactive web-based course of instruction that involves a mixture of mandatory class attendance with e-mail discussions and assignments. 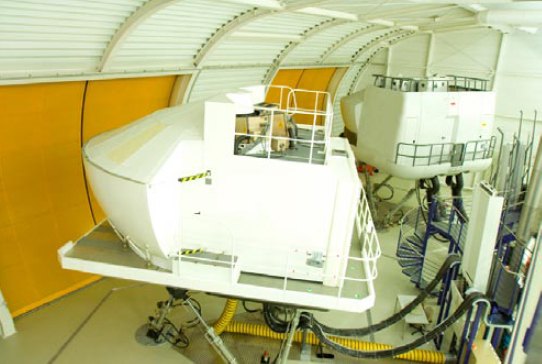 E-learning can be as basic as an online college course taken via e-mail or as sophisticated as refining flight techniques in a helicopter simulator. Figure 4-12. E-learning encompasses a variety of electronic educational media. Time flexible, cost competitive, learner centered, easily updated, accessible anytime, and anywhere, e-learning has many advantages that make it a popular addition to the field of education. Predictions are that more and more learning will take place via e-learning. E-learning is now used for training at many different levels. For example, technology flight training devices and flight simulators are used by everyone from flight schools to major airlines, as well as the military. Fixed-base operators (FBOs) who offer instrument training may use personal computer-based aviation training devices (PCATDs) or flight training devices (FTDs) for a portion of the instrument time a pilot needs for the instrument rating. Major airlines have high-level flight simulators that are so realistic that transitioning crews meet all qualifications in the flight simulator. Likewise, military pilots use flight training devices or flight simulators to prepare for flying aircraft, such as the A-10, for which there are no two-seat training versions. With e-learning, sophisticated databases can organize vast amounts of information that can be quickly sorted, searched, found, and cross-indexed. Due to the active nature of e-learning, the overall learning process is enhanced in several ways. Well-designed programs allow students to feel as if they are in control of what they are learning and how fast they learn it. They can explore areas that interest them and discover more about a subject on their own. In addition, e-learning often seems more enjoyable than learning from a regular classroom lecture. The main advantages are less time spent on instruction compared to traditional classroom training, and higher levels of mastery and retention. Distance learning, or the use of electronic media to deliver instruction when the instructor and student are separated, is another advantage to e-learning. Participants in a class may be located on different continents, yet share the same teaching experience. Distance learning also may be defined as a system and process that connects students with resources for learning. As sources for access to information expand, the possibilities for distance learning increases. While e-learning has many training advantages, it also has limitations which can include the lack of peer interaction and personal feedback, depending on what method of e-learning is used. For the instructor, maintaining control of the learning situation may be difficult. It also may be difficult to find good programs for certain subject areas, and the expense associated with the equipment, software, and facilities must be considered. In addition, instructors and students may lack sufficient experience with personal computers to take full advantage of the software programs that are available. Improper or excessive use of e-learning should be avoided. For example, a flight instructor should not rely exclusively on a software program on traffic patterns and landings to do the ground instruction for a student pilot, then expect the student to demonstrate patterns and landings in the aircraft. Likewise, it would be unfair to expect a maintenance student to safely and properly perform a compression check on an aircraft engine if the student received only e-learning. Along with the many types of e-learning, there are a variety of terms used to describe the educational use of the computer. While there are subtle nuances to the different terms which include computer-assisted learning (CAL), computer-assisted instruction (CAI), computer-based training (CBT), and computer-based instruction (CBI), this handbook will use the term “computer-assisted learning” in the following discussion. Computer-assisted learning (CAL) couples the personal computer (PC) with multimedia software to create a training device. For example, major aircraft manufacturers have developed CAL programs to teach aircraft systems and maintenance procedures to their employees, reducing the amount of manpower necessary to train aircrews and maintenance technicians on the new equipment. 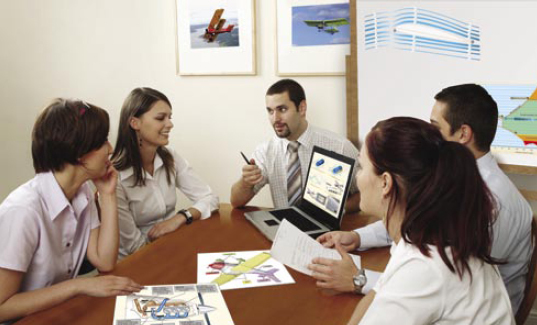 End users of the aircraft, such as the major airlines, can purchase the training materials with the aircraft in order to accomplish both initial and recurrent training of their personnel. Major advantages of CAL are that students can progress at a rate which is comfortable for them and are often able to access the CAL at their own convenience. Another benefit of CAL is the test prep study guides, useful for preparation for the FAA knowledge tests. These programs typically allow the students to select a test, complete the questions, and find out how they did on the test. The student may then conduct a review of questions missed. Some of the more advanced CAL applications allow students to progress through a series of interactive segments where the presentation varies as a result of their responses. If students wish to learn about a particular area, they do so by clicking the mouse on a particular portion of the screen. They can focus on the area they either need to study or want to study. For example, a maintenance student who wants to find information on the refueling of a specific aircraft could use a CAL program to access the refueling section, and study the entire procedure. If the student wishes to repeat a section or a portion of the section, it can be done at any time merely by clicking on the appropriate icon. Figure 4-13. The instructor must continually monitor student performance when using CAL, as with all instructional aids. Real interactivity with CAL means the student is fully engaged with the instruction by doing something meaningful which makes the subject of study come alive. For example, the student controls the pace of instruction, reviews previous material, jumps forward, and receives instant feedback. With advanced tracking features, CAL also can be used to test the student’s achievement, compare the results with past performance, and indicate the student’s weak or strong areas. For most aviation training, the computer should be thought of as a valuable instructional aid and entrusting an entire aviation training program to a computer is not practical. Even airline simulator programs require tailoring and hands-on interaction with a human instructor. On the other hand, CAL is a useful tool for aviation instructors. For example, in teaching aircraft maintenance, CAL programs produced by various aircraft manufacturers can be used to expose students to equipment not normally found at a maintenance school. Another use of computers would allow students to review procedures at their own pace while the instructor is involved in hands-on training with other students. The major advantage of CAL is that it is interactive—the computer responds in different ways, depending on student input. When using CAL, the instructor should remain actively involved with the students by using close supervision, questions, examinations, quizzes, or guided discussions on the subject matter to constantly assess student progress. Simulation (the appearance of real life), role-playing (playing a specific role in the context of a real world situation), and video gaming have taken e-learning in new directions. [Figure 4-14] The popularity of simulation games that provide players with complex situations and opportunities to learn have drawn educators into the gaming field as they seek interactive educational games that help students retain subject matter learning. The advantages of simulation/role-playing games come as the student learns new information, develops skills, connects and manipulates information. A game gives the learner a stake in the outcome by putting the learner into the shoes of a character (role playing) who needs to overcome a real world scenario. Learning evolves as a result of the student’s interactions with the game, and these games usually promote the development of critical thinking skills. Not every aviation learning objective can be delivered via this teaching method, but it should prove to be a useful tool in the instructor’s tool box as the number and content of educational games increase.